It’s now possible for users to work on Docs, Sheets, and Slides files when your device is offline or have a bad internet connection within Google Drive. You can also preview which files are available offline with a new offline preview mode. Right click on Docs, Sheets, and Slides files from within Google Drive to make those files available offline. We know it’s important for users to access and work on their files while traveling or when there’s low connectivity. With offline mode, it’s now possible to create, edit, and comment on Docs, Sheets, or Slides files. Any changes made to files while offline will then sync in Drive once the user is connected again. To let users enable offline access (recommended), go to Apps > G Suite > Drive and Docs. To enable offline access for specific devices, see this article in our Help Center. From Google Drive, click the gear icon at the top right corner, select Settings > General and select Sync Google Docs, Sheets, Slides, and Drawings files to this computer so that you can edit offline. Once offline access is enabled, a checkmark icon will appear in the top right next to Settings (gear icon) and Support (question mark). When you click this icon, you can find the offline preview toggle. To make files available offline in Google Drive, right click on any file and toggle Available offline from the menu while connected. 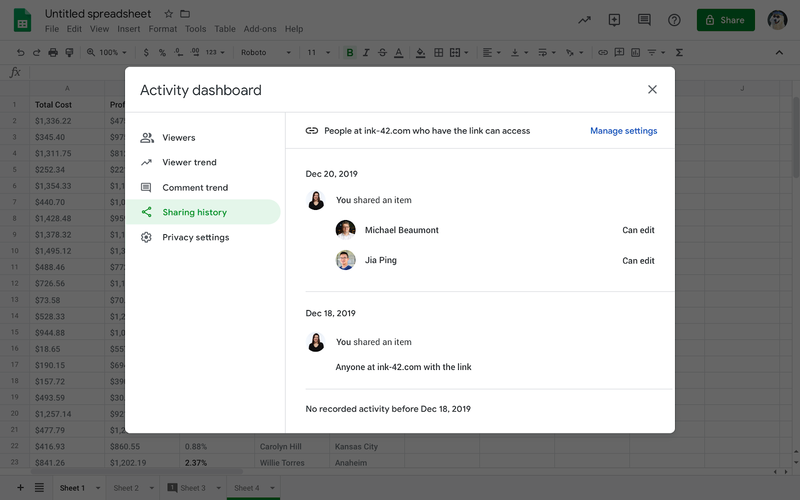 When offline access is enabled, Google Drive also automatically and intelligently makes a certain number of Google Docs/Sheets/Slides files available offline based on how recently you accessed them. You can preview which files are already available offline automatically using the offline preview mode. You can also mark a file available offline, so that it always remains available offline, while in offline preview mode, as long as you are connected. The Google Docs Offline extension, which is made available by default to all Chrome users, is still required. Admins: Set up offline access to Docs editors. Use Google Drive files offline. Work on Google Docs, Sheets, and Slides offline. Scheduled Release domains: Extended rollout (potentially longer than 15 days for feature visibility) starting on May 21, 2019. This feature will be ON by default for users who already have offline enabled. 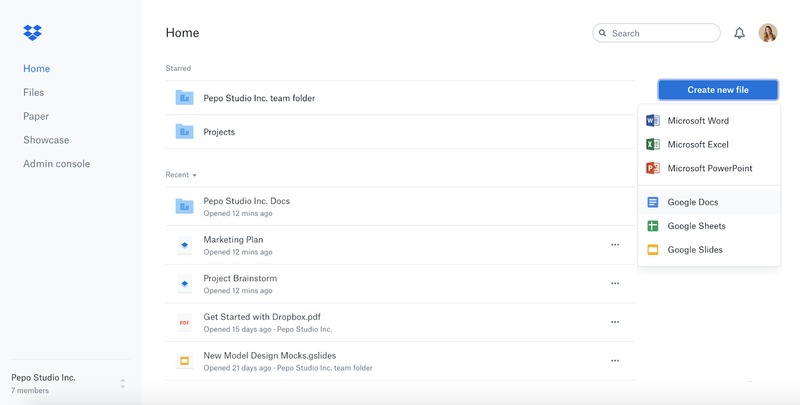 This Dropbox beta will allow Dropbox users to work with Google Docs, Sheets, and Slides directly in Dropbox. 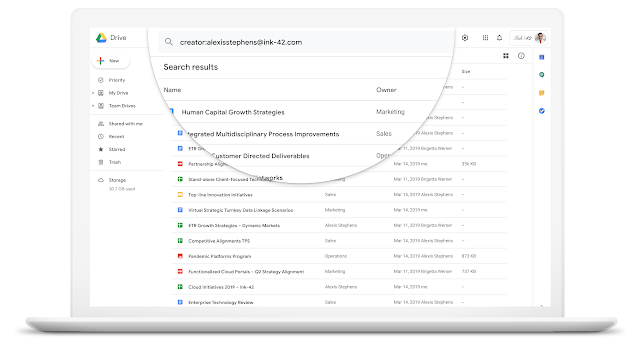 G Suite admins with a Dropbox Business subscription for their organization can find more details and apply for the beta here. You can start a shared Docs, Sheets, or Slides file right from dropbox.com or from apps on Windows and Mac, and have it stored in Dropbox. When you open files, you’ll be taken straight to familiar Google editors within Dropbox. You can also open .docx, .xlsx, or .pptx files from Dropbox in Docs, Sheets, or Slides, and save them back to Dropbox in their original format. Adding a Docs, Sheets, or Slides file to a shared Dropbox folder will automatically grant members access. You can also share files on a one-off basis without adding it to a shared folder by inviting people from Dropbox or creating a shareable link. 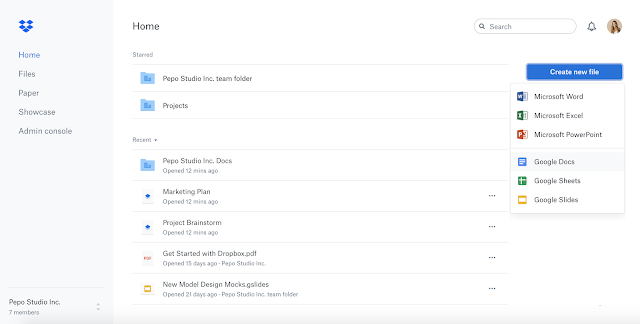 Whether sharing files directly from Dropbox or with a link, you can set edit or view-only access. You’ll also have the option to set permissions to team only when sharing within your organization or anyone when sharing files outside your organization. Search your files: Docs, Sheets, and Slides files will show up when searching in Dropbox, including results from the content within your Docs, Sheets, and Slides in addition to file names. Collaborate: You’ll be notified of any comments or edits made on your Docs, Sheets, and Slides files in your Dropbox notifications, so you can easily stay on top of what’s happening with your files. We hope this feature will streamline workflows by reducing the time spent switching between multiple tools helping you use data more effectively. Admins: To learn more about and sign up for the beta, click here. End users: Once you have access to the Beta, you’ll be able to work with G Suite content much like you would in Google Drive, including creating files, searching for files, and collaborating on files. Dropbox users on desktop, web, and mobile can view, comment, search, move, copy, and delete files. Note that mobile users will not be able to edit files. For more details and how to apply for the beta, see here. Previously, we made it possible to copy a site in new Google Sites. Based on user feedback, we’re improving site copy by making it easy to copy much larger sites — see here for supported sizes. We hope this feature helps site editors with large sites efficiently copy their existing sites, allowing them to back up their work, iterate on previous sites, or create ‘templates’ to start new sites. To make a copy with the improved site copy, open a site in the new Google Sites, click the More menu > Duplicate site. See our Help Center to learn more about copying a site. Rapid Release domains: Gradual rollout (up to 15 days for feature visibility) starting on April 17, 2019. We hope these tools will help you make more engaging and informative reports by making it easier and faster to format charts, pivot tables, images, and more. End users: See below for how to use each new feature in Sheets. You can use guides to help you align, size, and position various objects within your sheets. Guides are also helpful in making sure multiple objects within the same sheet are in proportion to one another. To select multiple charts, drawings, and images to move, resize, or delete in bulk, hold down the Control or Shift key and select. 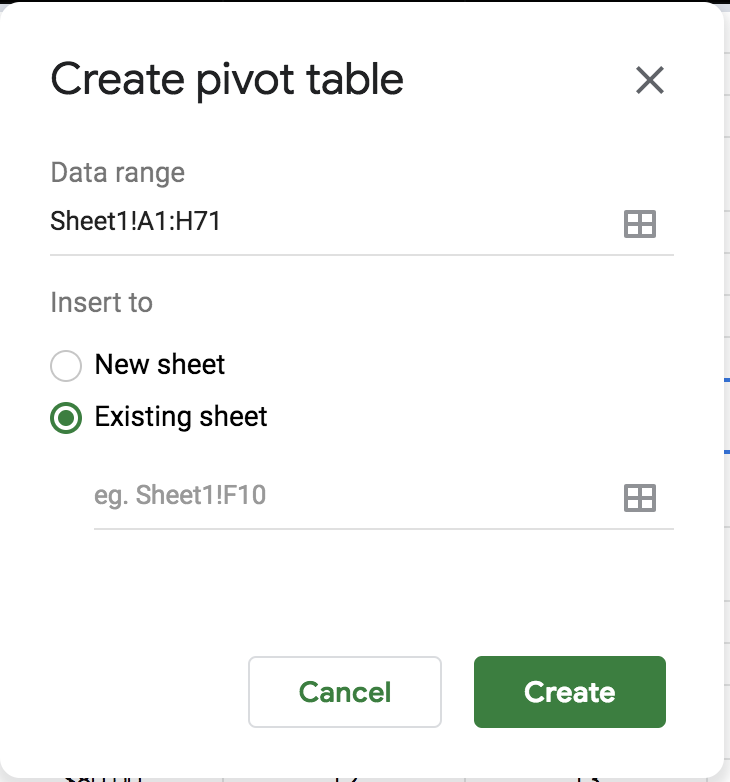 When adding a new pivot table, you’ll now have the option to either place it in a new sheet or in a custom location on an existing sheet. To create a new pivot table, go to Data > Pivot Table and select a data range. In the dialogue box, under Insert to, select New sheet or Existing sheet, and click Create. Note that if you select existing sheet, you’ll have to select a specific cell location for the pivot table. Recently, we made it easier to add images to your spreadsheet by inserting images into cells. Now, you can copy images from other websites and paste them directly into your sheet. Simply right click on an image and hit copy, then in Sheets right click and hit Paste to insert the image over the grid. Now, when you use Sheets Explore to create charts, the charts you insert from the Q&A feature (Answers) will be backed by formulas. This means that charts will automatically update if the underlying data changes, ensuring you always have a fresh chart with the latest information. To learn more about charts and graphs in Sheets, see here. To learn about adding and editing a chart or graph, see here. To learn about adding an image to a spreadsheet, see here. To learn about creating and using a pivot table in Sheets, see here. To learn about editing and formatting a spreadsheet, see here. Rapid Release domains: Gradual rollout (up to 15 days for feature visibility) starting on April 18, 2019. Scheduled Release domains: Full rollout (1-3 days for feature visibility) starting on May 2, 2019. We’re updating the creation flow for meetings in Calendar to help you save time with an easier way to schedule. Peek at calendars and automatically add guests: Now, when you add a calendar in the “Search for people” box, you can temporarily view coworkers’ calendars. Creating a new event then automatically adds those people as guests to your meeting and might suggest a title for the meeting. More fields in the creation pop-up dialog: The Guests, Rooms, Location, Conferencing, and Description fields are now editable directly in the meeting creation pop-up dialog. Once you add your coworkers’ calendars, they’ll load right in the background, making it even easier and faster to find an available time for everyone. End users: No action required. This new creation flow will automatically appear in Calendar on the web. Slimming down your list of Team Drives by hiding and unhiding as needed. Searching for items that have been created by a user in a Team Drive, similar to the search by owner in My Drive. You may have a long list of Team Drives in your Drive left hand panel. Now, you can hide a Team Drive for a completed project or that isn’t relevant to you. Hide individual Team Drives as needed, or select multiple Team Drives and hide all at once. Hiding Team Drives is available on web and mobile. People can search for My Drive files by owner, but Team Drive files are owned by the team. This makes them harder to search for. Now, you can search by “creator” for files located in a Team Drive. Often you remember the name of the person that created the content, instead of where it might be located. Search by “creator” will fulfill this need. To learn more about finding files in Google Drive, see here. To learn more about finding files in Google Drive, see here. To learn more about sharing files with Team Drives, see here. To learn more about Team Drives limits, see here. To learn more about known issues with Team Drives, see here. Rapid Release domains: Gradual rollout (up to 7 days for feature visibility) beginning on April 16, 2019. Scheduled Release domains: Gradual rollout (up to 15 days for feature visibility) beginning on April 22, 2019. Available to G Suite Business, G Suite Enterprise, G Suite Enterprise for Education and G Suite for Nonprofits. Not available to G Suite Basic. Sharing history provides users with granular visibility into how your document is being shared with others across your organization and elsewhere. You’ll now see who shared access with who and what level editing access they’ve been granted. Comment trend will help users visualize the conversations in a particular document, showing the number of comments, suggestions, and replies created per day. A graph will display the number of new comment threads, replies, and unresolved comments over the lifetime of a document. 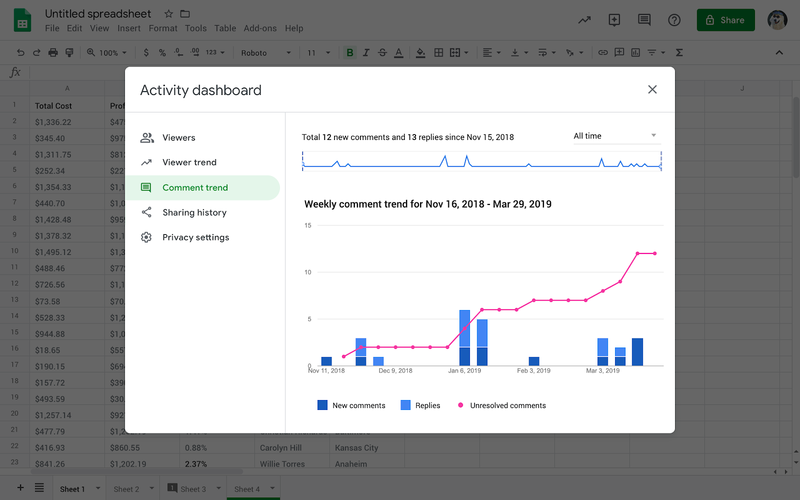 These updates add more context to the Activity dashboard, a feature we launched last year to help users see who’s viewed a particular document and viewer trends. These additions will further flesh out the Activity dashboard, making it a centralized hub where document owners and editors can see how other collaborators are engaging with their content. Rapid Release domains: Gradual rollout (up to 15 days for feature visibility) starting on April 16, 2019. Scheduled Release domains: Full rollout (1–3 days for feature visibility) starting on May 7, 2019. 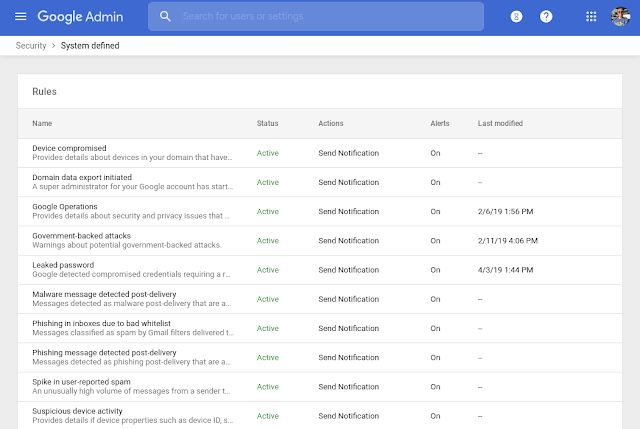 We’re starting the G Suite Marketplace (GSM) security assessment program, which will enable developers to optionally submit their GSM apps for review by a third-party security firm. The assessment includes penetration tests, a deployment review, and a policy and procedure review. Apps that pass the security assessment will display a security badge on their Marketplace listing. A “Security Assessment’ badge on marketplace listings. A “Security Assessment” badge on app detail pages. A “Security Assessment” section on the app detail page. We’re opening the program for developer submissions now. Monitor the G Suite Updates blog for ongoing updates on the program. Find out more about the security assessment program here. By highlighting apps that have been assessed to meet certain security standards, we hope it will be easier for you to find apps that may meet your specific organizational policies. This means you can more quickly identify and assess apps that you can whitelist for your users to help them be productive. Admins: Find out more about the program and what to look for here. We’re opening the program for developer submissions now. Monitor the G Suite Updates blog for more details on the program. Find out more about the security assessment program here. SMTP MTA Strict Transport Security (MTA-STS) is a new internet standard that improves email security by requiring authentication checks and good encryption for email in transit. Security health within the security center for G Suite will start including recommendations about MTA-STS policies for your domain. G Suite admins can choose to set up MTA-STS policies and reporting for incoming mail in their DNS server. While admins could do this previously, it will become more impactful now that Gmail is enforcing the MTA-STS policies. Use our Help Center to learn more about how to use the MTA-STS standard. MTA-STS is a new internet standard that will increase email security by acting as a deterrent against pervasive monitoring of email traffic and protecting against man-in-the-middle attacks. You can make your email communications more secure by setting MTA-STS policies and ask the organizations with which you communicate to also set MTA-STS policies for their mail servers. Admins: Use our Help Center to define MTA-STS policies for your domain. G Suite admins can choose to set up a policy for incoming mail with their DNS server. See the Help Center for details and instructions on how to set up an MTA-STS policy for your domain. TLS enforcement with certificate validation will prevent bad actors from intercepting emails in transit just like HTTPS does it for web traffic.If a bad actor tries to intercept the email, as Gmail enforces MTA-STS, it will now bounceback, preventing the intercept. 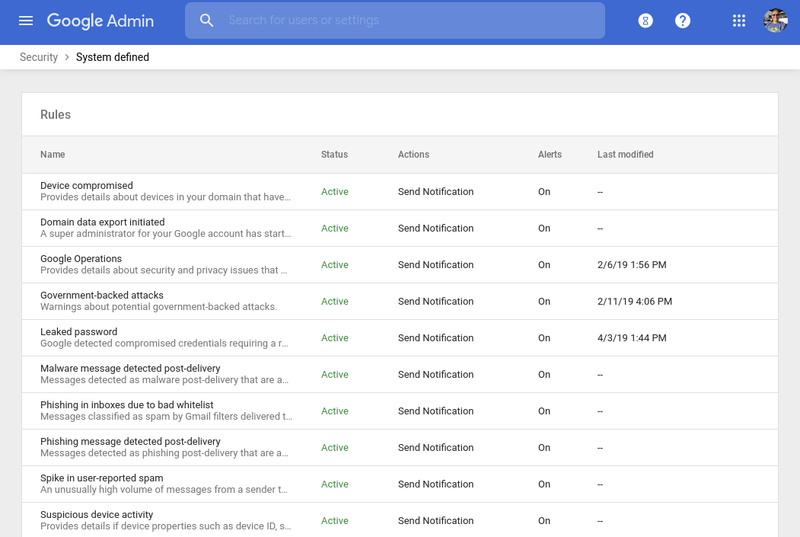 As Gmail will honor policies set by servers you are sending mail to, there’s a possibility that they have misconfigured policies or their servers, and that we will not deliver emails as a result. In this case, users will get an email bounceback with details. If you go to the security health section of the security center for G Suite (Admin Console > Security > Security Health, available to G Suite Enterprise and Enterprise for Education domains only) you’ll see a new “MTA-STA” suggestion. It will tell you whether you have a policy set up, as well as highlighting misconfigurations in policies. All G Suite customers can define MTA-STS policies. MTA-STS policy suggestions in the security center are available to G Suite Enterprise and G Suite Enterprise for Education customers only. 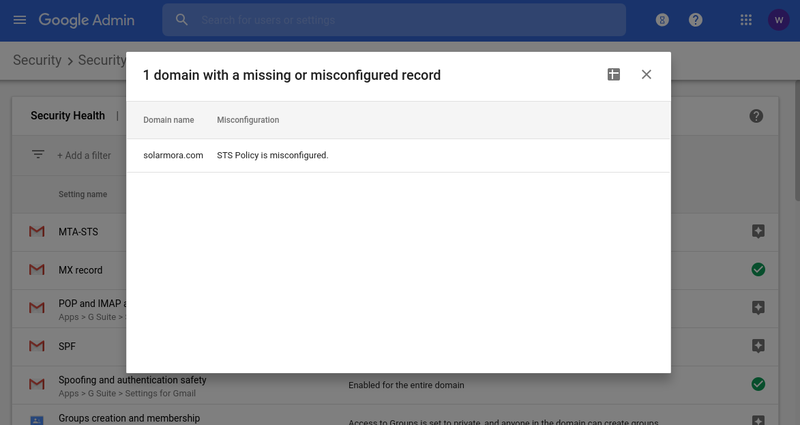 MTA-STS policies for your domain will be OFF by default and can be enabled at the domain level. MTA-STS policy suggestions in the security center will be ON by default. Google Voice is available to all G Suite customers through an additional licence. Find more information about Google Voice availability and pricing here. Get a phone number that works from anywhere, on any device, so you can place and receive calls wherever you’re doing work. Use intelligent capabilities to transcribe voicemails and block spam calls to help minimize unwanted distractions. 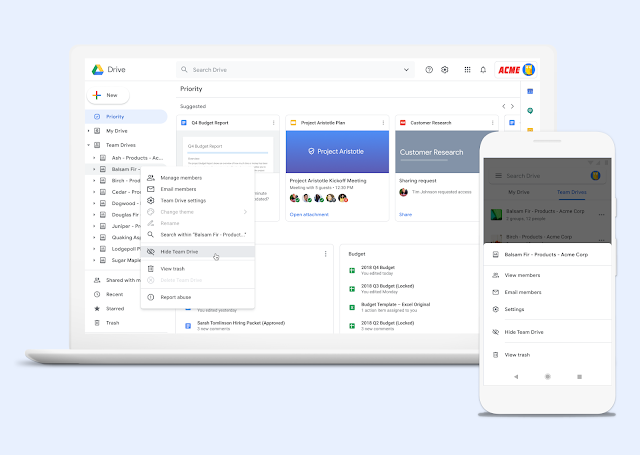 Increase efficiency through integrations with other G Suite products, like Calendar, Contacts, Hangouts Chat, and Hangouts Meet. Use one place - the Admin console - to manage Voice global users, numbers, porting, and billing. Set up new phone numbers as easily as adding a user to G Suite. Migrate smoothly with integrated number porting to help prevent interruption of key business processes. Leverage Google’s text-to-speech technology to automatically create call menus in nine languages to manage and route callers without worrying about recordings or translations. Give users permission to choose a number and set up their service independently without admin involvement. Admins: Find more information about Google Voice here. 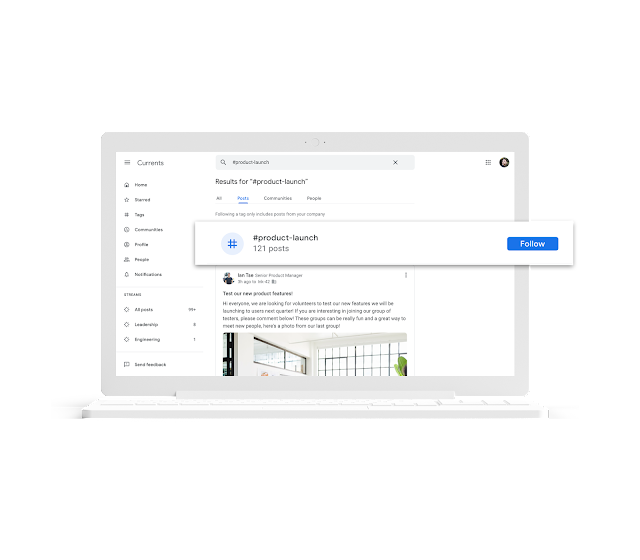 Currents is replacing Google+ for G Suite, and has a new look, feel, and set of features. 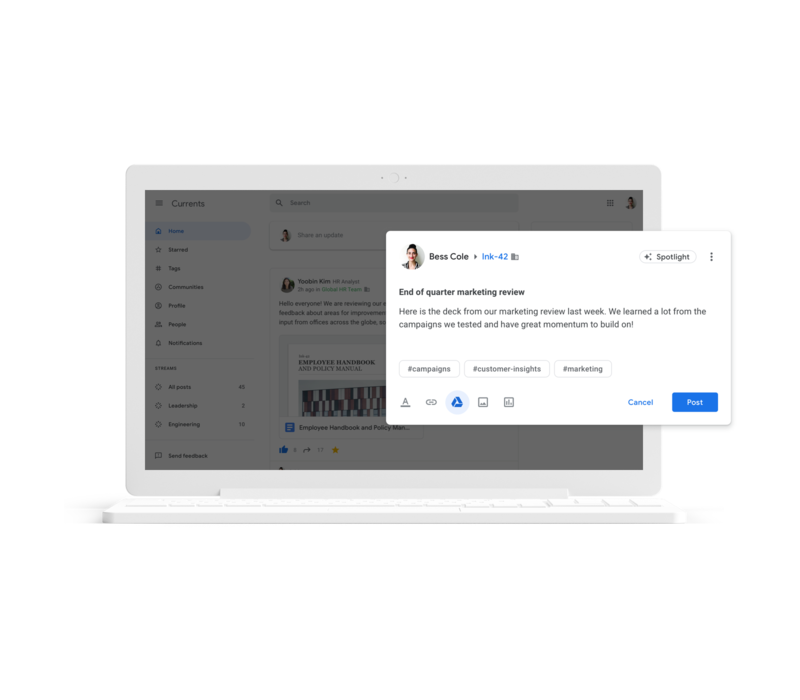 All of your organization’s existing Google+ content will automatically transfer to Currents once you are enrolled in the beta. Currents makes it easy to have meaningful discussions by enabling leaders and employees to exchange ideas across the organization and gather valuable feedback and input from others — without flooding inboxes. Currents features a streamlined experience for composing content — users can easily tag their posts and attach relevant attachments or images. Once a user posts, others can comment, give feedback, and ask questions all in the same place. Individual users can also track analytics for their posts. Currents also gives leaders a way to engage with their employees more directly, allowing them to take the pulse of their organization and understand what’s important. Posts from leadership can be given priority in the home stream, improving visibility across the organization to drive alignment. Content remains on Currents over time, so users can revisit and engage at a later date. Tags and streams make it easy to find and discover content of interest. Content in the home stream is ordered by relevance so it’s prioritized for what is most important to that individual, or users can choose to sort it chronologically. Admins can shape the discussion in the organization by creating custom streams to promote specific content to a targeted set of employees or the entire company. 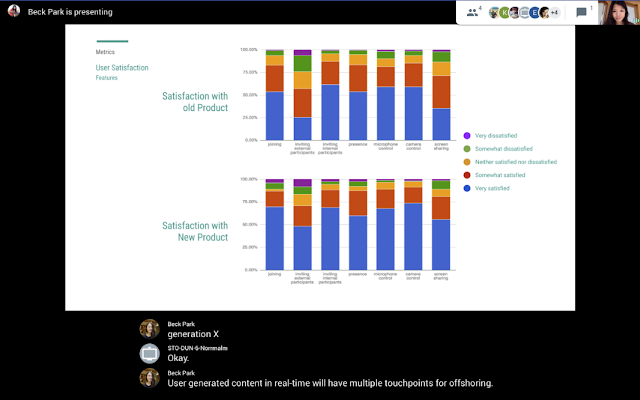 Additionally, admins can measure engagement across the platform with metrics to track usage and understand what content is resonating across the organization. These Content Admins can easily create custom streams, manage tags, define leaders, moderate content, and track usage and engagement with metrics. 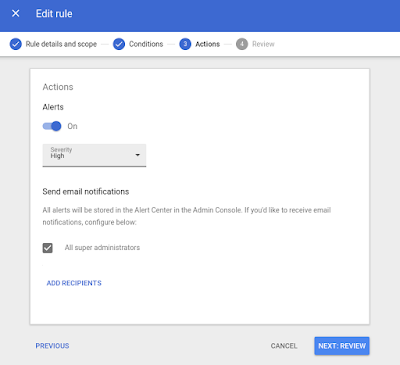 Admins: To request access to the beta program for your organization, please email CurrentsBeta@google.com. To request access to the beta program for your organization, please email CurrentsBeta@google.com. To learn more about the sunsetting of Google+ for consumers. 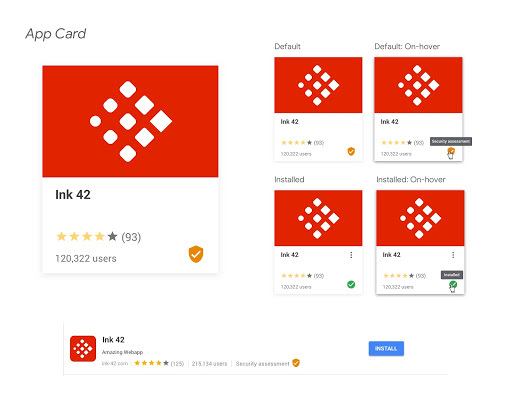 To learn more about new enterprise-grade features for Google+. We’re introducing connected sheets in beta (coming soon). 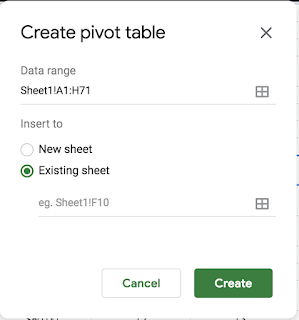 This new type of spreadsheet activates when using the Sheets data connector and will allow users to access, analyze, visualize, and collaborate on up to 10 billion rows of BigQuery data without the need for SQL scripts. 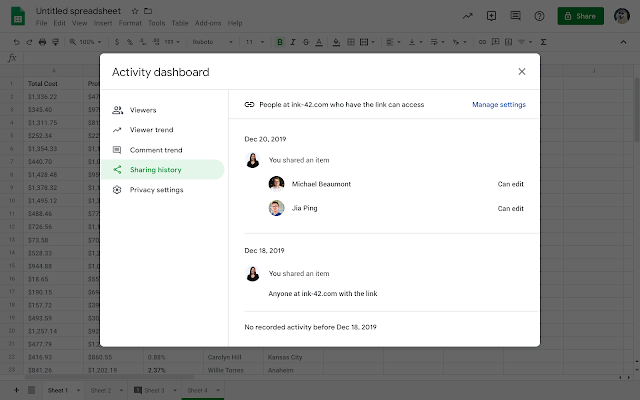 With connected sheets, it’s easier for users to surface insights in Sheets and make sense of that data using tools and features already familiar to them — like formulas, Explore, pivot tables, and charts. Admins can learn more about the beta here. Simplify collaboration with other analysts and stakeholders. Admins: To learn more and apply to the connected sheets beta, see here. Users can refresh their data which in turn will refresh any associated data within a chart, pivot table, function or table. Data can also be set to refresh automatically, making it even easier to stay up to date on the latest and greatest data. To learn more about connected sheets, see here. To apply for the connected sheets beta, see here. 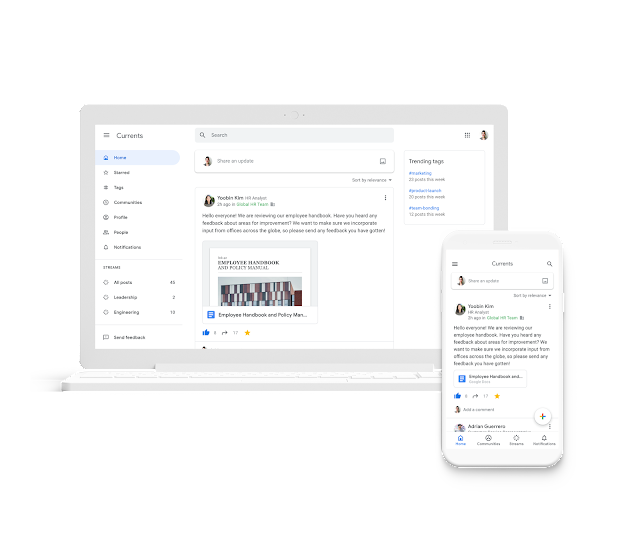 Office editing will make it easy for G Suite users to open and edit Microsoft Office files that have been shared by partners, vendors or other teams. In cases where some members of your organization use Office while others use G Suite, this ensures seamless collaboration and eliminates the need to consider or convert file types. Office editing brings everyone the benefits of G Suite’s real time collaboration tools and intelligence features to Office files. Admins: If your organization uses the Office compatibility app in Chrome, you may experience issues using this feature. To learn more about disabling this app for your domain or having users remove it, see here. In Google Drive, double-click your Office file. This will open a preview of the file. At the top, click Open in Google Docs, Sheets, or Slides. 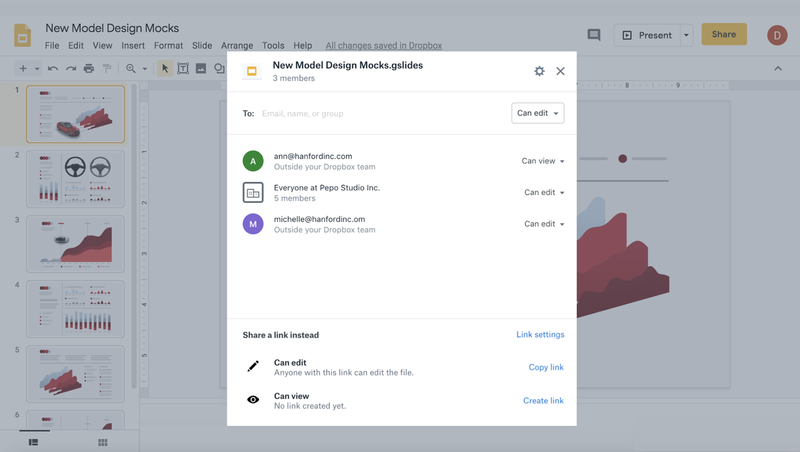 From here, you can edit, share, view version history, collaborate in real-time with others, and more. All changes you make will be saved to the original Office file. To learn more about working with Office files using Office editing, see here. To learn more about removing the Office compatibility app, see here. Rapid Release domains: Extended rollout (potentially longer than 15 days for feature visibility) starting on April 17, 2019. Scheduled Release domains: Extended rollout (potentially longer than 15 days for feature visibility) starting no earlier than May 6th, 2019.